If you want to employ a migrant under the Points Based System you will require a Sponsorship Licence. Westkin have lawyers who specialise in making such applications and can help you obtain a sponsorship licence for all types of businesses. A Sponsorship Licence can be obtained for Tier 2, Tier 4 and Tier 5 workers. There are general basic requirements such as the employer proving that they are a genuine business, that they are not a threat to immigration control and that they are able to manage the employee and meet all of the required sponsorship duties. There are also additional requirements specific to each category. Westkin are licensed to make applications on an emergency basis using the UKBA’s priority service for Emergency Licence Applications. This can be used in exceptional circumstances where an urgent decision is required. In the past, we have obtained licences within a week of application using this service. 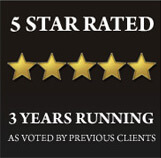 We are experts in this area and appreciate that businesses are pressed for time. That is why we will take on the full burden of the application, including visits to your business property and drafting audit reports. We go above and beyond the requirements of the application to minimise any chance of a negative decision. 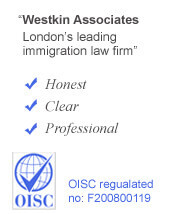 If your business is interested in sponsoring a migrant worker Westkin can help you with your application and all the necessary documentation required.